DiverseCITY was founded in 2007 by Mike Fratangelo and Greg Rosnick while both were classmates and teammates at Haverford College. Since that first summer when the camp hosted 13 campers from the Philadelphia area, they have run camps in Haverford, Pittsburgh, and Trenton, NJ for youth between the ages of eight and sixteen years old. Their program was founded on the belief that athletics can be used as vehicle for real change in our society. During a time when socioeconomics still results in real segregation, DiverseCITY believes that sports can be used as tools to help bridge gaps. The idea was to create an easy to navigate professional website for DiverseCITY where they can list information on their programs, staff, testimonials and more. 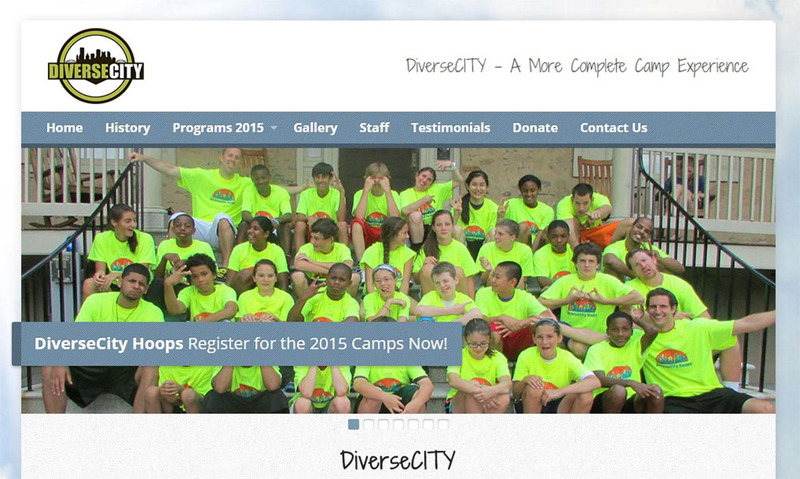 We have expanded on the original website by allowing DiverseCITY to accept registrations and payments for their programs.